There are two common types of eating disorders and these are Anorexia Nervosa and Bulimia Nervosa. These disorders may occur separately or at the same time in a person which can be dangerous when that happens. However, not all people with eating disorders are very skinny, sometimes, they can even be extremely overweight and suffer eating disorders. Another type would be binge eating which is just as common as the other previously mentioned disorders. Although eating disorders usually attack girls and women, it also attacks both boys and men as well; and based on studies, one out of four teenagers (and also pre-teens) with anorexia nervosa are boys. When it comes to binge eating, it affects both genders equally. It may not sound like it but eating disorders are serious and dangerous for our kids but luckily, parents have the power to actually prevent such things from affecting your children and the best way to do this is to start your intervention as early as possible. The reason for this is because mediating when your kids are adolescents will be less effective and very tricky since this is the time when your children stress their right to control their bodies. Here are some simple yet helpful ways to prevent your kids from developing eating disorders, as well as to help them develop a healthy body and body image. Children who watch TV for two hours straight are more susceptible to growing overweight with chances of high cholesterol too. Luckily, there is an easy way to prevent this and it is by lessening their time watching TV and letting them participate in outdoor activities. They can have fun with their Whistle copter while playing and running around with their friends. Your kids need regular exercise or any type of physical activity because letting them get involved in sports at an early age will allow them to have a healthier and more positive outlook towards their bodies. When they find a sport that they love when they’re still young, they will most likely stick with this activity for life. Skateboarding is also a great sport that your kids can enjoy, plus you can join them as well to make things more fun. 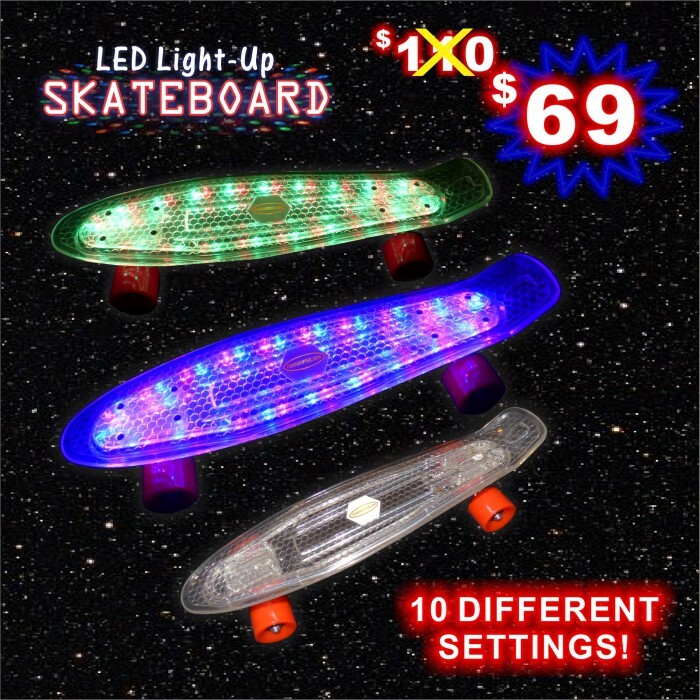 To ensure their safety, purchase the Original Copter LED Skateboard since it is made of high-quality materials that are safe and durable for use. Every child, no matter how they look, needs to be given unconditional love; never make them feel that they need to be prettier or thinner to be accepted and loved. Instead, tell them that what matters most is their attitude and how they are towards other people.